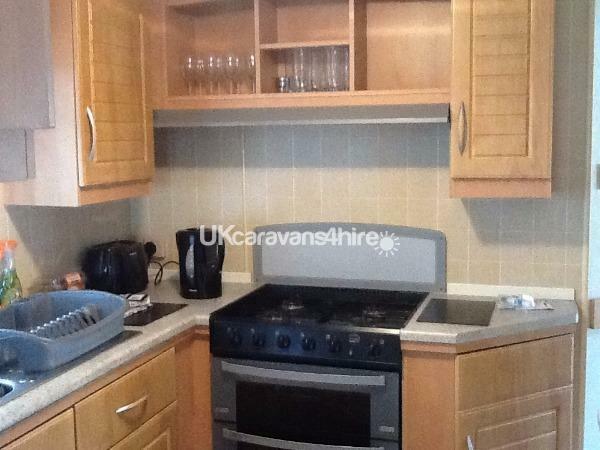 A lovely 6 berth caravan to hire at Bideford Bay north Devon. It has three bedrooms - one double and two twin rooms. Located in a great spot close to many attractions suitable for all ages - the Milky Way adventure park, Atlantic village shopping centre, The historic Clovelly village, the Darlington crystal factory and the Big Sheep fun park to name but a few. Our caravan is well kept and has full heating and all the homely facilities to make your stay enjoyable. It has large TV plus a DVD player so enjoy a relaxing night in after a busy day. Set in the countryside there are many lovely country walks to explore. Book up for a fun family holiday or a quiet country break. Entertainment passes purchased from the holiday park on arrival if required.